Other Pieces of Me: Ready. Set. GO! We are rapidly closing in on our due date around here; a fact that is altogether exciting and overwhelming. It is so hard for me to grasp that in less than a month, and as early as next week, we will have a son; a real, live, crying, pooping, dozing, needy, tiny, adoring son. 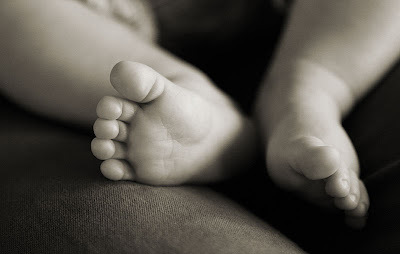 I find it interesting that even though I have long been a blogger, I have found myself incapable of writing letters to our child to tell him about the pregnancy and what we hope for him. It is almost as though I don’t want to jinx anything by assuming that he will actually be here. I think of things throughout the day, but rarely remember to write them down, and now I am almost done with the pregnancy and I have barely anything to share with my son about this special time we have spent together. Hopefully he will forgive me someday…my guess is since he is a boy; he most likely won’t even care. Many...MANY...people have asked me if I am tired of being pregnant, and while I can say that there are moments when I really can't wait to experience things like sleeping-on-my-stomach and downing-a-couple-of-beers-at-a-BBQ or gulping-down-a-latte-in-the-morning again, I really am quite comfortable with my current state of pregnancy. Sure, I walk a bit slower, go to the bathroom multiple times an hour and my back aches in early morning, but I love my big, hard, round belly...and being able to tell that the movement you can see across the top of my belly under my ribs is my son's 8cm long foot! I am going to miss this closeness. The fact that I can rub his back through my belly button and he'll respond by squirming for me. The lack of crying and pooping is nice too :) But I am also really, REALLY excited to get to meet the little guy; to have my husband get to hold him too; to introduce him to our families; to be a family with him. So I wait...patiently...trying not to wish away the last of this very special time of my very first pregnancy; appreciating the anticipation and excitement in the air and knowing that in just a very short time, all of our lives are going to dramatically change. I often think back on Wes' time in the womb -- and miss it. It has occurred to me that when I think of what it would be like to be pregnant a second time with another child, what I am really yearning for is re-living Wes' pregnancy. Enjoy the last moments of it, however many bathroom runs it takes. 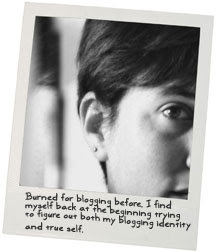 Hi Coasting Anon, I am a bloggy friend of your sister's and I have been lurking here on and off. I am very excited for your new adventure-motherhood. I gave birth to my own squirmy, needy, pooping, squalling, wonderful son 22 years ago today. Enjoy these waning days of pregnancy, and know that the best is yet to come! I felt the same way...it was as if everyone expected me to be done with it, but I really enjoyed how the feeling of her being that close to me. After she was born, I would still clutch my belly to protect it and it made me a little sad when the familiar hard bump wasn't there. There has never been another time in my life I can remember loving my belly that much. Pain and all, I soaked up every moment of my pregnancy; I'm so happy to hear that you are too. Ditto everything you say (except that our's a girl :>)! Good luck down your last stretch too!